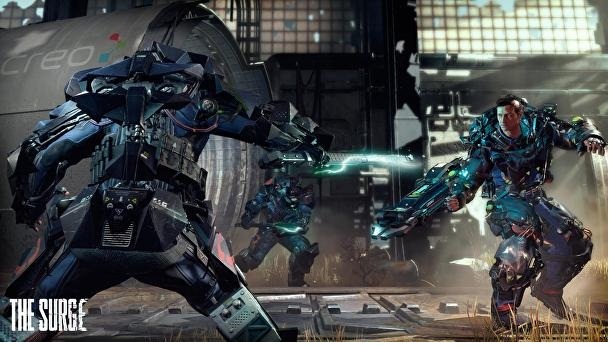 In The Surge, the implants can unlock new abilities and get both active and passive powers. However, the best implants are not always easy to get, but it is mainly the tactical adjustment to your way of playing, which makes you the dominant player. In addition, implants can also improve your perception, for example, to see the health display of your enemies to always know how many attacks you still need. Through attacks, you build up your energies, allowing you to use skills obtained through implants. You have a certain number of slots in which you can place your implants. Over time, the number increases, by the increasing character levels. Your protagonist is an employee of the CREO company and as such equipped with a special exo-rig suit. This allows you to use implants first, and you should be careful about what abilities you use, since your energy is limited in part and you have to balance between skills and close combat. The selection of implants depends on your playing style. You can maximize certain properties (such as healing) or create a hybrid. You generally have different forms of implants in The Surge that you can use to increase your values and use Ker power equal to a character level. - Vital Injection: You can restore a part of your health. At Level 1, you need three core powers for 80 health. - Medi - Voltaic Injection: You use energy to restore health. - Endurance Enhancer: You gain additional Stamina. On level 1 you need a core power for 9 stamina. - Vital boost: Increases your maximum health and consumes core performance. - Aggression Amplifier: Restores your health by using a finishing move. - Voltaic Dynamo: Increases your energy gain (at level 1 20%). - Vanadium Energy Cell: Increases the maximum energy, depending on your core performance. - Plasmic Regenerator: Restores health over time. - Medical Audit: Displays the health track of your enemies. - Blue X Cables: The energy consumption of finishing moves is reduced. - Sustaining Array: Your automatic energy loss is slowed down. - Kinasthetic Amplifier: Your weapon knowledge on one hand or on both sides mounted weapons. - Mechanized Counterweight: Your physical weapons receive bonus damage. Since the individual implants have access to your core performance, a good portion of combinations is needed to boost your status. A very helpful feature is that you can change these bonuses as soon as the right equipment falls into your hands. For example you can have little health and you can experience a great deal of healing through energy, or maximize your vitality and concentrate on the damage to your armor.